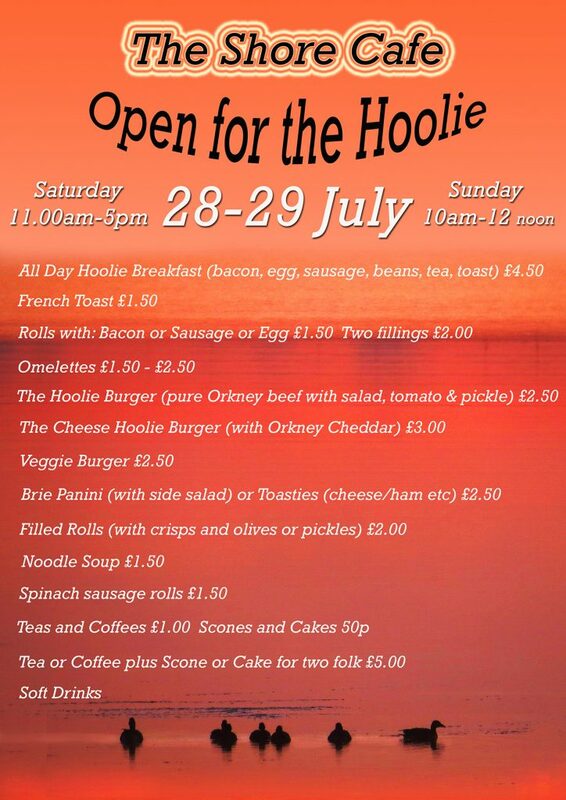 Well, here we go again – “Hoy Hoolie 2018” – We’ve got a great weekend planned Friday 27th to Sunday 29th July. We’re pleased to say that as in previous years, Hoy Hoolie 2018 has been supported and part funded by the Island of Hoy Development Trust. On Saturday, we’re linking with the Hoy Community Association for their annual Produce & Poultry Show and this year it’s their 20th anniversary. This is being held at the Hoy Hostel (Hoy Outdoor Centre) and is open to the public from 14.00, any entries for the show can be put in on Friday evening between 20.00-21.00 or Saturday morning 09.00-10.00 Judging starts at 11.00. 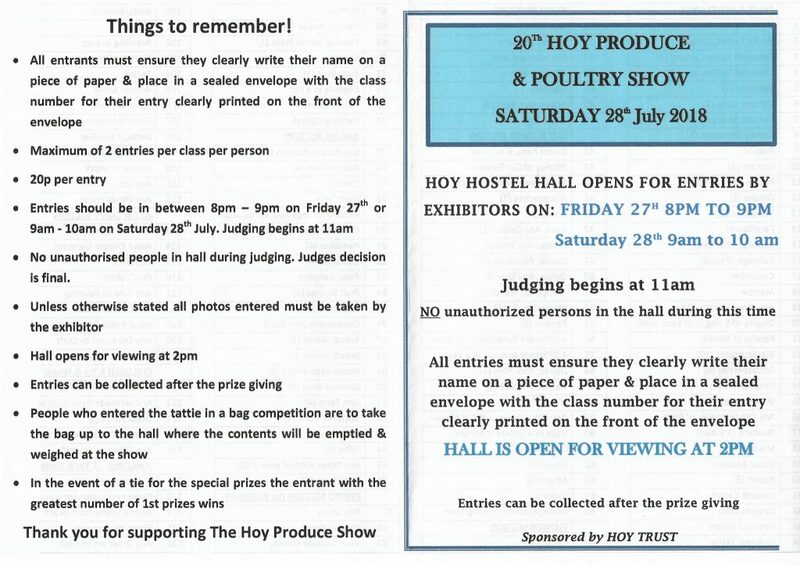 See the Hoy Produce & Poultry Show List here. 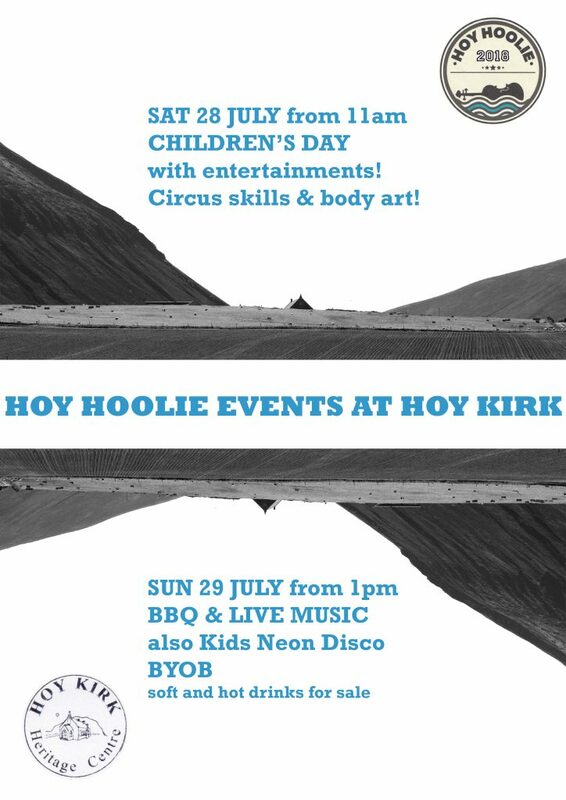 Also on Saturday, the Youth Workers on the island with support from Hoolie funds are putting on kids entertainment at the Hoy Kirk to link with the Hoy Produce & Poultry Show. 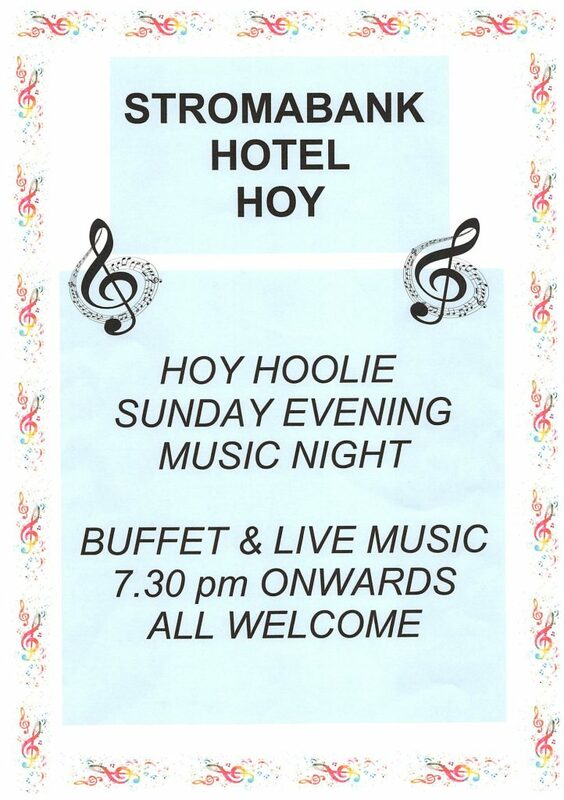 On Sunday afternoon, The Hoy Kirk are organising live music, a barbecue and a kids neon disco. Funds raised from this will be for the Hoy Kirk. There will be a charge for the barbecue. Depart Hoy Kirk 17.30, calling into Lyness for the 18.15pm ferry to Houton and then on to the YM, Longhope.